Adam lives in Boulder, Colorado, where he works as a lawyer when not running trails, serving as Salomon's trail running community manager or writing for several endurance sports magazines. 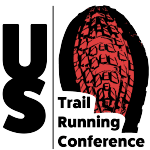 With Nancy Hobbs, Adam co-authored "The Ultimate Guide to Trail Running. Ellen lives in Vail, Colorado and has been a member of the US Mountain Running Team staff since 2006. Ellen is also a race director and avid mountaineer having summited Mt. Everest twice. Eve is passionate about fitness, especially the sport of running. 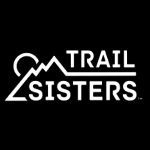 When she’s not running trails in her back yard in Cabin John, MD she is climbing, hiking or mountaineering in far off lands. Eve is also the co-founder of Girls on the Run of Montgomery County, MD, serving 5,000+ girls annually! A former operations & software executive, Richard calls Bend, Oregon home. 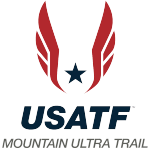 He is the United States representative to the World Mountain Running Association, a member of the International Trail Running Association steering committee & member of USA Track & Field's Mountain, Ultra & Trail Running Council. Richard also leads teams of elite American trail runners to World Championship events. Brandy lives in Evergreen, Colorado with her husband and son. Brandy competed in the World Mountain Running Championships on multiple occasions including the 2012 championship in Italy where she was part of the gold medal winning US women's team. Peter is our Outreach & Partnership Specialist and lives in Manitou Springs, CO. He is also an elite trail runner and member of the silver medal-winning US team at the 2015 World Long Distance Mountain Running Championships. Peter also has a M.S. in Athletic Administration and is an Inov-8 brand ambassador. Tayte is an ATRA Project Associate, elite mountain & trail runner and recent graduate of the University of Portland. This effervescent 21-year-old is sponsored by Nike Trail Running and will put his degree in English to good use writing and sharing articles and short videos from his upcoming travels across the United States and overseas. Download a transcript of the board meeting minutes.